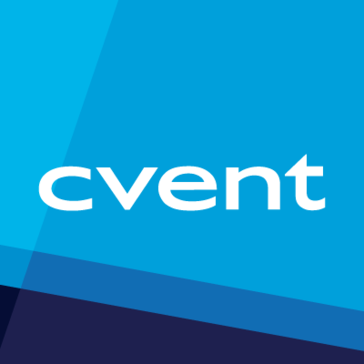 "A concise hub for event management activities"
Cvent brings most all of our primary event planning, management and feedback tools in one place. The Cvent account features are easy to use with clear instructions on how to get started with each option. We can import contacts from other customer service applications and use them for email invites and attendee management with Cvent. I like the sign up forms that we can use to automatically connect registrants to our Cvent account. There are tools that we can use during events that make our events more interactive and engaging for visitors. It was kind of complicated for me to use when I started to create my first event. A major part of my job is to organize press and speaker registrations, but doing that through this platform seemed too rigid. I think some features don't always play out for particular event the way they do for others. I recommend Cvent as a very robust and efficient event management platform. I don't think it's too difficult for the average person to use and could help minimize inefficiencies in your workflow. Cvent has reduced many headaches by letting us compile most all of our vendor, venue, registrant and speaker data in one place. We can automate email marketing and event reminders with contact information we import into the system or acquire through online registration forms from Cvent. We are able to obtain actionable metrics and meaningful feedback from attendees that we can use to enhance everyone's experience and refine our operations. "Great Event Management Tool!! " The platform as a whole has many features to make it easy for event planners to manage their events from start to finish. The user face is clean and easy to navigate and very customizable to what we want to do. It is also very easy on the attendee side - very straightforward and simple. The reporting feature is a life savor. Very customizable and detailed. Customer Support - very helpful and very fast. It is a little on the pricy side to get the plan you want with everything included. You also need training - but Cvent has a very good customer portal with great training documents if you cant get the in hands training. It is worth your money. Makes life easier! We are able to streamline our processes of planning and managing - venue sourcing, passkey, registration, concur integrations, etc. The reporting is also a huge benefit. Fast answers. "Cvent is the caviar of event management software"
Cvent allows you to do what you want. If you have a scenario that you want done in your registration, chances are, you can make it happen in Cvent. The registration is easy for the end user to use and allows us to easily register or amend registrations on the back end. The reports are wonderful and easy to customize. Parked reports allows our colleagues to view reports at their leisure without having to ping the events team for information. The customer support team is awesome and very knowledgable. It is pricey, but you get what you pay for. We have to have an alternative event registration system for our simple events because we can't afford to use Cvent for all of those registrations. It also is not intuitive and there is a steep learning curve, but the support team is very helpful. While expensive, Cvent is worth the money and gives your end user a top notch experience. The ability to have complex registrations has allowed us to compress several separate registrations into one and people to self identify their registration type that takes them down certain paths. We are also able to send out separate links if we don't want them to self identify. The parked reports have also made sharing of information internally much easier. "A well-rounded event management solution"
The Cvent platform many features that allow us to plan and manage events from start to finish. I like that a diverse selection of data is stored that enables us to improve our event analysis and strategies for future events. The user interface of Cvent is clean and easy to navigate. There aren't any intimidating controls or tools in the account. Most of the features are straightforward and easy to implement. It's very convenient to be able to process attendee payments within the platform. There isn't much to dislike about the Cvent platform except the price. The basic plan doesn't really have the capacity and capabilities to fully accommodate the type of events we do, so we have to pay more for our particular plans. There are times when we don't use all of the features and perhaps get less value for the service. I would say that Cvent is a wonderful event management tool that is great for complex event planning. I can help you manage many of the processes to help make your event run smoothly while providing you with data to measure overall performance. By using Cvent, we are able to streamline all the major processes of planning and managing events. We can manage speaker requests, venue searching, registrations and more. Before using Cvent, there were many processes that we didn't consider using, but ended up using them since they were available in the platform. We've taken advantage of the many of the interactive tools that we can run while the events are ongoing. "Best Event Management system out there!" I love how easy it is to use and how helpful the customer service team is at helping if any issue arises. I love being able to manage 5000 plus attendees so easily and make more time for planning the logistics and design of our events. I love how easy it is to learn and how much my team and I can consolidate all in one system. There's not much I dislike as they are constantly listening to the field and updating their system to support our needs. It was feeling a bit outdated but they recently launched Flex registration which makes it feel a lot like Wix as far all widgets and making it extrememly user friendly. I recommend doing a trial to see how easy it is to use and how it can help transform your events. It will help you plan events easier and keep everything organized and all in one space. We are now able to handle events for over 5000 people with ease. And if is so easy to use we can focus the rest of our time on event design and csr. "PERFECT registration solution to complicated registration problems!" Cvent is relatively easy to use and it has many customization options. The best part of the design process is that questions are answered completely and easily via the online forum. Also, their support team is very customer service oriented and willing to work with you until a solution is found. One of the drawbacks is the use of graphics. If you don't know HTML, it is difficult at best to place your graphics where you want them, and they cannot be resized within Cvent. I have to resize them in another program and re-import them to the media folder in Cvent. It is tedious and frustrating when there are a lot of graphics to use, for instance in the recognition of sponsors, etc. Use the support features, and the tech support if you need it. Also, there is a manual you can download to get you started. I would also recommend creating a 'learning' site you can practice with before going into a real registration/marketing site. You'll learn a lot! Online registration for events produced by my organization; ability to upload employee participation into our LMS using a .csv file; ability for participants to choose and change breakout session options. Refunds for those who pay to attend and cancel are easy to process. Our organization primarily uses the Event Management side of Cvent, and I love that it is user-friendly and allows for a completely customized event website. The customer support staff is also extremely helpful and quick to respond. While most things on Cvent are able to be customized, some processes are very long and involved, which feels less intuitive on the back end. I have also had issues on certain web browsers with the system (it runs slower or certain functions won't load). Take time to learn the product and do test runs. Cvent staff can also test things out for you and are probably the best customer help I've encountered with using a product. They are quick to respond and have a large team to help handle problems of all kinds. We use Cvent primarily for event registration. It works well for us to have attendees register this way and keeps everything organized leading up to our event. "Best for large companies willing to invest time and money as well as provides additional tools! " I think the best part about Cvent is the robust amount of information you can build out on a website and registration platform as well as the robust amount of tools you have in a singular service/provider. i.e. communications, reporting, automated messaging. I definitely think the Cvent customer service could use a little bit of a revamp and enhancement - especially when issues are super time sensitive. I have never had a problem with getting my issue or questions resolved but the turnaround and flexibility of customer service could be better. Again, the biggest solution Cvent helps to identify is the singular platform of many tools and products. We can message and change and enhance the site for a program once it has launched and track and engage with all of our attendees/customers/clients. Then turn those communications and engagements around into data using reports in Cvent. "Cvent made our lives easier for managing our events!" Our different teams are easily able to manage all their events in one place, and as an organization we are able to see all our events as an enterprise. Our constituents have enjoyed their experience with registration, and we have been using OnArrival to check in our guests, which they have really enjoyed. Setting up reminder emails has truly reduced staff time that they had previously spent running reports trying to get to the list of non respondents to then load into an email to send out. Now it is all done for them!! We have been working with Cvent on providing a way to set the receipt amount for tax purposes. It is on the road map to be released soon, and once that is available, we will be in great shape. It is a really powerful tool that can provide a suite of tools for users. Spend allot of time with your support person to get comfortable with all the options. Start with a simple event to get familiar with the tool, and continue to grow and evolve your events from there. Managing all our events in one place online, and providing a standard event registration platform for our constituents. "Cvent is an excellent user friendy event management and sourcing software. " Cvent is easy to use and is a comprehensive event registration and housing platform. You can use unique invitations to send registration links to targeted attendee groups. Complete with fees that have early bird and late options you can initiate fee schedules and offer discount codes as well as volume discounts for certain amount of attendees in a group. Cvent is somewhat un-intuitive. It takes comprehensive training to learn in the beginning if you do not have a 'registration' brain. Once it is learned it is very easy to work with. It has its quirks, the HTML email editor needs work and the web component is getting a complete overhaul which is desperately needs. Cvent is growing at a record pace. They are a wonderful company with the customer at the front of their priorities. We utilize Cvent for registration and housing for our internal meetings and conferences. Cvent allows us to house our conference website as well as invite targeted attendees and charge different registration fees to each attendee type. We also use the same site for our housing (hotel) booking and payment. It provides our meeting planners with the accurate hotel and flight information for each of our conference attendees. "Best option on the market"
For large or complex events, this is the best option on the market. With our needs for different prices, and types of registrations, and the reports that we need run, it almost does everything we need. There a still a lot of challenges, and things that take a lot of time, aren't easy to figure out. The company is so big that sometimes the things you need fixed don't get updated for a year. Take advantage of the trainings, webinars, and success groups. Sometimes you get more answers to your problems than just visiting customer service alone. We had trouble with our internal systems for registrations making people enter in their information 3 times. with Cvent, we can upload our lists and everything is pulled for them to review but not have to type in again. We are also able to run any report that we can think of that our client might need to see. Some of their features could be updated to be more flexible and efficient. Wish they had more opportunities to panel current customers to see what is missing and how customers can better use the service. Cvent is a great platform and has many options, but they are add-ons for additional costs. Unfortunately, if you want to utilize the software to its full extent it will be costly. Using Cvent for the venue sourcing and websites is great, but we have taken it to the next level through OnArrival and CrowdCompass. CrowdCompass eliminate printing programs, handouts, etc. and makes the onsite experience more interactive for attendees. OnArrival allows the check-in process to be seamless and easy for attendees. "Cvent is Every Event Professional's Life Saver!" I really like the totality of what Cvent provides on every level of event management from start to finish. You can find the location for your event through their RFP system, create complex registration paths, create individual event sites with supreme detail and promote this event through their html email section. There are endless options in reporting and budgeting is also streamlined within the program. The event in a box keeps my sanity in check at the events to check people in and print badges on-site. My organization has saved a lot of money with this feature. I also really appreciate the customer service. They are always helpful and kind. The only thing I don't like is the inability to adjust the sizes of images within the widgets of the Flex and Express platforms. I have to resize them manually, rename the image and upload again. Sometimes this takes a few tries, which can take time depending on the image. I am a solid advocate of Cvent. I tell everyone who does not use this about the program and how it helps me create seamless events. I go to as many success group lunches to learn about features within the program that I am not proficient. The instructors at these lunches are very helpful and kind. I have talked to others who are considering using Cvent and try to answer all of their questions or concerns with honest answers. As the solo person in events & marketing, it helps me every step of the way in the process of creating, logistics and execution of the event, large or small. I am able to keep track of everything, run reports comparing previous year's stats and budgeting. It gives me an avenue to be creative with the event site and promotional emails. We also want to thank you for being a Cvent Advocate and appreciate your participation in this program. Visit the AdvocateHub, http://bit.ly/2IuDlXh, to check out the latest Cvent product updates, learn best practices, take part in beta testing opportunities, and earn cool rewards! "Cvent has moved our organization into the "Big Leagues" of Event Management"
We like the fact that it is such a capable system. From event creation, through registration and data management and reporting, the system allows us to make decisions on data, not guesswork. We were really not prepared for the amount of training it requires for staff to become fully competent using the system. A bit more advance notice and explanation of why a client should commit to training ahead of time will prevent some "PD shock." You found the one you want. Buy it. Cvent is such a capable and professional platform, we are still finding new ways to use it after three years, and we see it growing with our company for many years to come. The support offered is fantastic, from online resources to telephone support, to in-person otions - that has made the most difference n allowing us to successfully implement it. After three years, I can say we made the right choice and would definitely buy it again. We use Cvent for events, and for learning programs. The ability to tie together scheduling, transactions and follow-up for participants is a Godsend. Our ability to use the data resulting from the system to plan and prepare for future events has revolutionized our event management efforts. Once you know how to use the platform it is so efficient. The different templates available give you a wide array of fun designs when making an event. You can customize it based on the type of client or event! The past platforms I used did not have this feature. The on OnArrival makes it easy to keep a record of the attendees when signing them in. The programs I do give attendees a prepaid debit card and there is a field as they sign that reflects that amount which takes me about 5 mins to upload. This is great because attendees know exactly what amount they receive. Unlike the registration questions that I can make changes to affect all the registration paths, I have to manually update verbiage on the different registration pages. It would be nice to also make changes that affect all these paths. As technology continues to advance, the needs to your clients also change. Cvent is right with you, because they are always coming out with new features that match or even supersedes your client's expectations. -Not having to create multiple websites due to different registration types having different hotel and air dates. "Would recommend - new Flex Interface is game changer"
New Flex interface - even though we have had our challenges with it, we know the growing pains will be worth it in the long run. hard to describe how much easier it is than our old tools. Integration with the mobile app is such a time saver! With the number of accounts they have and active users, you are most likely a very small fish in a very big pond. Enhancement requests feel like they go into a black hole. Really wish they would also take a look at their event management features like speakers/agenda features. They havent been updated in likely a very long time and I wish they offered more options/flexiblity to further increase efficiencies. Ask for a sandbox environment and try to build a site using a real-life event that you host and do that for a few of your meetings to make sure Cvent meets the needs of those programs. The integration with CrowdCompass and Cvent is everything - agenda and speakers transfer right over with a few clicks. You can also pull over attendees, and schedules but we dont use that functionality. Pretty significant cost savings and big time saver for us when we add up everything we used to do. Cvent offers so many features all in one platform, which allows me to use just one system for almost everything! There are some parts that are lacking features and don't have a consistent user-experience. For example, Cvent's event platform and abstract management platforms are much different to use. The abstract management feature has a lot of limitations and less customization, which is less than ideal. Talking with customer service reps and working with a dedicated support person was extremely helpful when first getting used to Cvent. We use Cvent as a conference website, proposal submission portal, registration portal, and payment collection portal. Cvent has allowed us to make real-time changes to our website. Our best experience has been with the OnArrival self-check in app, which has immensely streamlined our onsite registration and check-in process for attendees. "Exceptional event management and conference app functionality with Cvent and CrowdCompass"
Cvent is a powerful event management tool which allows me to build my own eRegistration website, including complexities such as 20+ sessions, meals and breaks, invitation-only sessions, and multi-scaled sponsorship fees. The documentation and support is incredible. Attendees often tell me how easy their registration was, compared to other events they register for. Attendees can modify their own registrations, saving my team a ton of manual work. The built-in and customizable reporting functionality makes it a cinch to grab an accurate report at a moment's notice. Internal Information fields help me classify my attendees and the Resources functionality helps me track my many meeting rooms, both for sessions and ad-hoc meetings. Using the included email marketing functionality allows me to target my audience via invitation lists and pre-schedule communications, as well as quickly create and send ad-hoc ones. Lastly, the integration between Cvent and CrowdCompass conference app allows my sessions, attendees, and speakers to flow from Cvent into the app. This avoids the issue of having to set a hard cutoff date re: registration since the information flows from one system to the other. I don't dislike anything about Cvent. I wish I had more time to delve into its powerful features. When I can't find an answer to a problem I have to solve, it is either in their incredible documentation, or it is answered or solved by a quick call to their exceptional support team. Powerful platform. Ensure someone on your team who is good at learning new interfaces (aka fairly "techie") is the lead on Cvent programming, otherwise, for advanced functions you might want to hire a 3rd party expert. The business problems Cvent solves are time, money, and reporting. It doesn't take long to program a simple event, and the upload functionality saves me many hours in programming my 60+ sessions, meals, breaks, meetings, and special events. Cvent is very cost-effective and being able to program it myself saves my group a lot of event budget money that we can instead invest in our attendees' event experience. Lastly, being able to report on attendance, session registration, and other factors helps me plan my next annual event as well as prepares me to ask for a budget based on factual data. "Cvent - so close and yet so far"
I like that we can manage our groups in one spot while having clients input their own information. The system runs incredibly slow most days, making it cumbersome to work with. There are so many extra steps to do things that it can be incredibly tedious. For example, when canceling a room type to add a different one for a client, we have to cancel it and it doesn't automatically remove the funds. We have to go in, move any funds that have already been applied to it, then zero out the canceled room, then make sure everything is adjusted properly. This adds extra minutes that feel unnecessary with how smart computers are nowadays. Making small adjustments can sometimes take up a lot of time. It seems not all parts of the system are speaking to one another. It allows a lot of room for error. Please do not hesitate to reach out to us you have any questions or need further assistance. "Flexible Registration System with Strong Customer Service"
I love that Cvent is constantly improving. They really take feedback seriously and work hard to find solutions to your problems. We have a very complex event, and have found solutions to the vast majority of our issues, and where some solutions were a little sticky at first, updated versions and new features have consistently improved functionality. I have found the support team helpful and while our initial representative was not the greatest, I requested a new rep which was processed quickly, and he has been wonderful. There is a bit of a learning curve, but if you require a platform that can handle an event's complexity, I believe this is to be expected. Still, there are a few items that I still don't find intuitive in the interface, but I am confident the release of Cvent Flex will address many of these issues. Cvent is a complex solution for complex events. At this stage I might recommend utilizing a simpler solution if you are able, but this recommendation may change in the next few months with some of their new releases. Prior to adopting Cvent, a lot of our reporting and other processes were manual. We have been able to squeeze a lot of our tasks into Cvent, and even found some solutions for other departments in our organization as well. We also want to thank you for being a Cvent Advocate and appreciate your participation in this program! Please do not hesitate to reach out to us should you have any questions or need further assistance! "Easy & Efficient Event Planning"
Cvent enables us to manage our multitude of weekly small class scheduled over multiple locations, as well as four large events, all in one easy-to-manage website. We love the easy event set up for classes, as well as the complexities of the large event set up options. The Concur integration enables us to provide a one-stop-shop for our attendees, allowing them to register for the class or event, request a hotel, answer any event-specific questions we may have required, and then book air travel. It's a seamless tool that empowers our small event planning team to double, maybe even triple, our work with ease. There is one section of Cvent that is a constant issue for the set up of our large events. As Medicare cuts impact our company dollar, and the cuts keep coming, we must be very careful with each dollar we spend on events. As such, we require our attendees to share hotel rooms. The Cvent platform does allow for roommate matching, but not in the way which would work for our events. It would be very helpful to us if roommates could be matched across registration types, instead of only allowing attendees of the same registration type to match as roommates. This issue forces us to export the hotel report from Cvent and match them up manually. This is a tiresome practice, and one which could be avoided if Cvent would work to implement more fluid roommate matching initiatives. We have seen an increase in productivity for our team since using Cvent. We have greatly increased our number of internal classes hosted each week, without increasing event planning team members. Cvent has allowed us to maintain order in the midst of what could easily become corporate chaos. Our attendees often comment on the ease of the registration and travel booking process. This is due to the Cvent and Concur integration. Additionally, Cvent's integration with CrowdCompass has enabled us to provide a high-tech and first-rate experience for our large event attendees. We also want to thank you for being a Cvent Advocate and appreciate your participation in this program. "Great Platform, Amazing Customer Service"
Cvent has the best customer service team I've worked with! Our team utilizes their online help before reaching out to support via phone, case, or online chat. All of our questions are answered quickly and support is extremely knowledgeable. There is not much to dislike about this platform - I honestly can't think of anything at the moment. Our organization was using NGO Connect events two years ago. Then, we committed to hosting a conference for the first time. Our current event platform did not have a sessions feature and was not very robust overall so we knew we had to find a new solution. We did a lot of research and finally settled on Cvent. It's been a great relationship ever since. We use Cvent for all events and have it integrated into Salesforce. We are also utilizing CrowdCompass, OnArrival, and will be utilizing Abstract Management within the next year. We also want to thank you for being a Cvent Advocate and appreciate your participation in this program. Visit http://bit.ly/2IuDlXh to check out the latest Cvent product updates, learn best practices, take part in beta testing opportunities, and earn cool rewards! "Excellent customer service, customizable registration process"
Love the customization available during the registration process and ability for attendees (and sponsoring companies) to upload documents (i.e. company logo) within their registration. I dislike the membership portion of Cvent. The registration portion is great, but because of the limits within the member part we may not be renewing our contract. Would definitely recommend Cvent to those who have similar events every year. Cvent has the ability to clone events and what is called "data tags," where any info that changes from year to year (think dates, room location, specific attendee instructions) can easily be input into all parts of the registration, including emails, by simply updating the data tag, which may link to infinite locations within your event. This takes some time to set up the first year, but then saves hours and hours of updating and proofing the following years. We have gone from a very clunky registration system to a seamless online registration system, which also provides us with valuable attendee history and various financial reports. The ability to easily track event and attendee history and statistics is invaluable. "Comprehensive, professional event registration solution"
What I love most about Cvent is that even if you only manage 1-3 events a year vs. 100+ events a year, it still offers so much value. It takes away a lot of the manual work associated with managing one event, much less 100+ events per year. There are so many avenues for personalization within Cvent, from a branding perspective, as well as a features/functionality perspective. We don't charge to attend our events, but if that changes, it's comforting to know that feature is there and available within our current contract. It eliminates so much paperwork on our end -- and as a small event team, that is CRUCIAL to our event program success. I also like all of the integrations - SFDC, Marketo, CrowdCompass. Makes life easier. The reporting functionalities and financial reporting have helped our team be more data and metrics driven which is very important when it comes to strategy and informaed decision-making in an organization that makes an almost $3m investment in face to face, live events. The training and administrative set up process was NOT intuitive. Every organization that uses this tool is not the same, but the training wasn't quite tailored to our organization's needs. A lot of time was spent on modules we never use. Our Account Manager tried to help, but was unavailable a lot. We were encouraged to contact the Support number, rather than personalized 1:1 with our Account Manager. It would be great if we had just ONE liaison at Cvent rather than being sent to several different arms for different needs. I also wish the SFDC custom integration wasn't an extra cost to our organization because that is a huge need for us, but the free turnkey solution just won't work for us. Every single day I thank the lord my organization chose to invest in Cvent! As a small events team, we were bogged down with plate spinning. Cvent takes all of the plates in the air and stacks them neatly into one platform that seamlessly integrates with so many of the other platforms we use daily: SFDC, Marketo, CrowdCompass, etc. It's a timesaver, and in an industry where time is money, the initial large investment creates a larger return on investment simply in time saved. Our corporate office also appreciates the comprehensive financial reporting that we roll up to them each year and it helps us be more strategic with budgeting. "Lots of interesting features, but not user friendly"
Cvent gives you the opportunity to use many features for an event. The full event website is a great feature for keeping all event details in one place. The usability of Cvent is poor. Unless you are a pro at HTML coding and photoshop, there is no way to make the websites look as good. The templates Cvent offers are clean and simple, but if you are looking for a site that is more, you either need those skills or have to use the HTML and web design teams. It also takes a very long time to complete one action in the program. For example, we had to add a registration type in 3 different places before it showed up on the registration page. Make sure you do as much training as you can. The required training is very basic and prepares you for about 5% of what you actually need to know before using the program. You will become very close to you customer success manager while you set up your first event. Cvent allows you to market, register and communicate with attendees all in one space. "Good solid software, just needs to be a bit faster to keep up with technology trends"
I like the features and functionality as the software does what it's supposed to do, especially its integration with CrowCompass making the event experience a lot better by allowing attendees to engage and interact with us through a mobile app. I was a bit disappointed to see that they were a bit slow to keep up with technology trends, aside from our overall experience with our account team. The whole experience was always disorganized and it seemed like every month we'd get a different person to deal with. And most the time, each person didn't know what was going with their accounting. Event management and seamless experience for our attendees. We were able to streamline our registration process and provide ease of use for our attendees to register and pay for the event without any manual process. In addition, we've provided our customers with a fun way to interact with us before and during the event with the mobile app. "Provides almost the entire organizational structure for our events"
It's super convenient to have tools for almost every aspect of our events. We can create sign up forms, process payments, organize speaker submissions and approvals, distribute feedback forms and much more. The Cvent integrates smoothly with many software, including our CRM software, so we can move data in between the two platforms seamlessly. Another thing I like a lot are the email templates that we can use to promote or events and link to sign up forms. Cvent can be take a while to learn how to use effectively and I feel like it's something that can cause big problems if managed by someone that doesn't have a proper understanding of event planning overall. I think the risks are mainly due to the database of contacts. If you don't configure your emails and have a well though out plan on how to many marketing and correspondence to your contacts, then you could potentially upset many quality leads. Event planning and management can have so many elements and people involved, so it's can be very valuable for a company to have some type of management hub like Cvent with all your vital information accessible at any given moment. You'll be able to leverage data quickly in ways that might be too time consuming otherwise. We can manage to the ins and outs of our event requirements and react very quickly to update details and retrieve attendee feedback information. As a central digital database for our event information and metrics, Cvent makes it easy for us to access and distribute information we need for event planning, reporting and future attendee outreach. The general control panel isn't extremely difficult to figure out, so we can usually enable multiple people to log in to update or use information without any major problems. "Most useful tool for an event planner "
The ease of service. Everything is really easy for you to set up and manage on your own. However, if you do need assistance, Cvent always has someone ready to help you. Sometimes the reporting can be a little off and confusing. But, as I mentioned above, you can always call Cvent and someone will help you. I also find it a bit frustrating having to pre-pay for registrants. I wish there was a way to bill us after the year of all registrations we used. Before Cvent we were having trouble organizing and managing our attendees. Keeping excel spreadsheets of their email addresses so we can pull them when we wanted to send out an email. Now, we just pull a report and have everything I need at my fingertips. The platform has all capabilities to be used depending on the module you are using. I have the event admin and the supplier's modules. So far, the best points for me are: user friendly platform, intuitive, reliable, the people in customer service are always welcoming with a good attitude. There are 2 points to analyse this: the first is on the overall admin side and operation which lack of information about operative strategic points (like how many days are they going to to issue payment or small print like full capabilities of the system). The second side is related to the platform itself, the information about the full capabilities and flexibility, the limits of integrations, how to develop the integrations and until what point those integrations can transfer or not certain data from your event to the event APP and how that information is going to display and managed. Also, the limitation within the platform, for example, we can't assign different roles to participants, it means, the information from the address book can't be transfer to the speaker list, so I need to create the speaker even though I already have him/her in the participants lists. Ask as many question of every detail important to each organisation. Automatization of the registration process. We have managed to reduce by 40% the operational workload and the clarity in terms of processes has increased. Thank you for taking the time to share your experience using Cvent. Your feedback, particularly about your overall admin experience and the capabilities/flexibility of our platform is invaluable as we're always looking for ways to improve our current offerings. Please note that I've also shared your feedback with our product team. "Cvent Fit My Event Needs"
Cvent is an incredibly robust software that fit our event needs almost entirely. There is no shortage of ways that you can set up your event and make it fit your needs. Additionally, we love that the reporting feature captures so much different information and you can always find the report you need. The platform was not as user friendly as we would have liked when it came to selling multiple tickets to one guest. Many of our guests wanted to buy 2, 3, or 4 tickets and distribute them to friends and family later. The system was set up in such a way that this was only possible if the purchaser knew exactly who would be using the tickets at the time of purpose. We use Cvent primarily to sell tickets for one event. What we like most is that Cvent allows us to add promo codes, early bird pricing deadlines, and restrictions. The platform is robust and we have been able to do almost every single thing we have wanted. "Switched from Reg Online and find it a bit more complicated"
I like that we can access multiple events easily. I like the preview option of the website registration page and being able to customize it how I like it. I like the ease of creating name badges and using the print your own option directly to the printers. I don't like that my customers who register together are not on the same registration and that it does not list all previous events. I do not like that when a customer has to change their registration to another event, that CVENT refunds their money before charging them again. Would like them to have a balance in the account and only get refunded when I want them too. Has caused difficulties. I don't like that when the customer changes their registration and money is refunded, it changes the past balances in previous months. Then when someone is refunded due to CVENT refunding for a change in registration, we get charged again for a registration...not okay with getting charged twice for one customer. And customer service is hard to get help with. I don't like that onsite registration kiosk cannot register more than one person at a time under the same company. Would recommend they watch a lot of video's and ask a lot of questions during set up. Our account set up person was extremely helpful and I asked him a million questions and he was able to give me answers relatively quick event if what I wanted was not possible. Also would recommend to stay on top of the billing and to know that it takes a while to get money from CVENT into your account. Changing to our registration to print your own badge was simple and made our registration process much quicker. "Great and well built software"
I like the many options Cvent provides. Their support is by far the best in the industry. Cvent also has many options that an event planner can choose from. The level of customization is great for those who like to make big changes to the look and feel of their applications. We also like that the team behind Cvent is world class. Cvent is a major event planning company. They have thousands of employees and their support team is around the clock. I think someone with basic web skills can become really good at using cvent to create events. Their support will also walk you through the process and even share screens to help you create your event. Their portal seems a bit outdated. They can make some use of the material design and modern design languages. The homepage of their website is great but once you login, the system is a bit cluttered. It needs an upgrade from UI and UX perspective. Creating events throughout the year. Cvent allows us to create events for our programs to use throughout the year. "One of the best Event Management Tool to manage almost everything in one place!" It's a great tool for creating and managing all our events in one place online including surveys, reporting, website configuration and integration with other platforms. Out of the box Cvent Integration has very limited functionality and is limited to only Contact Object. I wish we were able to map/sync other related objects using default integration. We also had hard time dealing with data management problems since account level settings can be changed/customized or even ignored on event level. Event planners can pretty much change everything on event level including field data type, making it non-mandatory, ignore/change field mapping for integrations. Data analysis and data interpretation within and outside cvent have been challenging because of this. 2. Restricting field level security settings or global account settings for Cvent Users. Have defined event templates and strong business process to educate event planners so that they adhere and be aware of event management process including objects/fields to use to avoid data management issues. Standardization of National and local events within platform w.r.t business process and data management has been a challenge. Extensive Cvent features is really helping us to manage events, conferences, webinars on a granular level. Users do not need technical background to learn and adapt to this tool. We are exploring Cvent Integration options (default & REST API ) with Salesforce CRM and Content Management Tool to centralize all information across the platforms. "Cvent - Your Go To For All Things Registration"
I love the versatility of Cvent...from the design and layout to the ability to create discount codes and special rates for specific attendees. It streamlines the registration process by asking all the questions that we, as an organization need answered. There are so many tools in Cvent's "tool belt" that often I feel like I'm not using the system to the best of it's ability. With that people said, I need to be proactive in reaching out to our Cvent representative to schedule an in-person training. We are solving many issues that used to be surprises on site, like dietary allergies, restrictions, as well as housing requests for shoulder dates. That has saved a lot of time! A benefit has been the attendee's onus of their own registration; they can modify and update their registration on their own. I love being able to use the Suppliers tools to create, send out and keep track of RFPs. Once we've chosen a location, I like the process to create a registration site. There are so many things you can edit to make the site one of a kind. I do not like that certain questions can't be put on a report together because they are in different categories so I have to run 2 reports to get all of the information I'm looking for. It's easier to reach out to hotels to request proposals. That saves a lot of time being able to send them all of the information at once. There are a lot of features to use in the Cvent platform; you can build your registration site and have full control over registrant information, and with a few extra add-on costs, you can plan badge printing and distribution through them, you can build the app with them, and even travel and accommodation details. While there are lots of available features, good luck finding all of them without lots of time spent looking for them or time on the phone with your rep. The platform design is very unintuitive from the planning side, and the results on the customer side can be a very ugly design. We had to use a lot of custom HTML/CSS to get our registration website looking acceptable by our brand standards. Lots of little flaws that seemed way to obvious; I submitted around 15-20 product requests over the 6 months of using the product so far. Make sure to give yourself enough time to fully go through the Cvent platform...it can be hard to know where to find and change certain features. Also, make sure you don't test registration when the event is live, or you will be charged fees for them like any other registrant. We are using Cvent to plan our annual conference with 1,500+ attendees; at a certain point, we realized we need a better solution for our registration process, and we needed to offer an event app for our customers. The OnArrival product Cvent offers has really helped expedite the check-in process at the venue; printing the badges on-site helped with logistics, even though there were definitely new challenges we had to deal with. The event app got great reviews, but it wouldn't have had to be Cvent's product...any event app provider would work. "Easy to use, Professional Software for Event Registration"
The registration site is very modern and appealing, and CVENT copied our website look. The customer service is always available to help guide us step by step to editing something. The OnArrival program is a very appealing iPad style registration style for on-site badge printing etc. I wish the email system included templates and HTML to help us create more attractive emails. The registration on site is faster due to the barcodes we can just scan and print badges for, for all the attendees. CVENT generates barcodes per registration. Also for event marketing, we can upload all our contacts and mass mail to promote attendees to our show. Thank you for taking the time to share your experience using Cvent! We appreciate your candid feedback and have shared it with our product team. We also want to thank you for being a Cvent Celebrity and appreciate your participation in this program. Visit the CelebrityHub, http://bit.ly/2IuDlXh, to check out the latest Cvent product updates, learn best practices, take part in beta testing opportunities, and earn cool rewards! "Great way to organize events with many attendees"
Cvent makes it SO easy to keep track of people who accept/decline/cancel the invitation. I have tried many different platforms and Cvent is by far the best one I have used. Sometimes it's a little delayed in updating so the numbers may not always reflect the actual number of people who accepted/declined/cancelled. It was also very difficult to set up a multi-language event - too many steps to take and too many things to change in different places. There should be a template or walkthrough other than the online forums. I would recommend using the support provided by both the online help forums and the live chat. Whenever I get stuck or confused I'll first try to sort out my problem using the online help forums and then resort to the live chat if I can't figure out the issue myself. We use Cvent to organize client events. It makes it easier for us and for the client by centralizing all the information about the event. It also makes it easy to communicate with everyone and to make sure we're all informed about recent changes. Thank you for taking the time to share your experience using Cvent! We are happy to hear that Cvent has helped organize your company's client events and has made your lives easier! Your feedback is invaluable as we are always looking for ways to improve our current offerings. Cvent solutions help the process of planning and execution of events with seamless tech integration. From the registration website, onsite registration and mobile app, the process of putting on a large event is easy and intuitive. The integration with the mobile app - not to mention all of the great functionality you can customize in the app - not only create a memorable attendee experience, but helps us capture key event feedback and attendee data we would otherwise not be able to obtain. The update to the Flex platform will take care of some of the functionality and build challenges we had in the past. The only area we'd like to see additional tweaks to would be to reporting metrics via the app. We use Cvent for our company's annual conference to manage the event website and registration, onsite attendee management and mobile app. The platform has made it simpler on the back-end to manage attendee registration, and for attendees, the process of registration pre-event and onsite has become easier and quicker. The app has proven to be an invaluable tool for sharing information, networking, increasing engagement, and providing a unique experience for attendees. "Cvent is the Event Management Leader"
Cvent is the most robust and configurable event management software I have found. I have used it for countless events, and while it takes a little while to learn the full extent of all the features, they have a ton to offer in terms of event registration options and reporting. It can take a while to learn. It is super robust, but because of that it's not always easy to take full advantage of the product right away. I have used it at various roles to help manage registration websites and process for events. The benefits are having all information in one place, highly robust and offers a good registration experience, and many different options to suit your needs. "Best event software there is, but a work in progress!" Cvent has incredible reporting power and the ability to gather just what you need as a planner. Customer support is absolutely fantastic and always able to help with solutions quickly. While the platform is powerful, there is a very steep learning curve. I have been using Cvent for almost 5 years and am constantly learning/finding new things. One of the biggest challenges when I started using the platform was that I couldn't find what I was looking for. It's not intuitive at all. Once you get the structure figured out, it's much easier to locate what you need. Know your account manager and customer success consultant well. They will help you configure the platform into what you need. We are able to easily automate registration for our events and track ROI using the Salesforce add on. "All You Need for Event Management"
Cvent's suite of event planning software integrates everything in one place. From your contact list to your venue RFP process to speaker abstracts to registration to mobile app. You'll spend a pretty penny for the software; however the time and frustration it saves your event, sales and marketing teams is well worth the investment! Best mobile app there is! I've used Double Dutch and SpotMe, and this is so much easier for the event planner, very robust and integrates with the rest of the Cvent platform. If that's not enough, it also integrates with your CRM or Marketing Automation platform. Better visibility to sales and marketing teams using Salesforce integrations and reporting allows for timely follow-up with prospects, more appointments and ultimately more dollars in the door. "A bit costly, but can be well worth the price"
The look of the software and registration interface is crisp, clean and modern. Cvent allows us to create highly customized event registrations. We can create interactive and personalized registration experiences. I like that guests can check in at the event through Cvent. We can customize our emails into groups so that particular groups receive emails that are relevant to them. The Cvent platform has great templates and tools for building our own event web pages. The functionality is intuitive and not very hard to use for designing. The price is a bit high for the most part. Even though the value can often be there, it's not always cost effective for all events. The reports can be difficult to work with. The data is great, but it can take some time to know how to pull and leverage the data effectively. About the web pages, though the web design tools are easy to use, there is a limit to how much we can customize things. We're not always able to get a particular look using the tools available to us. Cvent can save you a great deal of headaches and keep your whole team working more efficiently. It can automate many processes, especially registrations, to make your work flow more streamlined with easier accountability. If you're planning a large corporate event, the Cvent platform should definitely be valuable. Cvent has helped us execute and manage event registrations very efficiently. Much of the user data we receive can be used to boost marketing campaigns and nurturing leads for future events. Most of my team is able to access and use Cvent without any problems. It has been very user friendly and didn't require any specialized technical expertise to use. Overall, the Cvent platform has given us great control so that we can tailor registrations and features to fit our needs. Even though the web page designs are limited, our final design have generally been very effective for registrations. We've also use Cvent to send out surveys for attendee feedback. "Cvent provides the tools needed online registration set up with needed customization capabilities. " The many options available to customize and event based on its uniqueness and demands of data collection. A dislike presently is the ability to create some customized reports without the aid of a CVent staff. Do your homework and research all aspects of your event and needs to insure proper fit of the Cvent platform before committing to purchase a license to use. A couple of business issues have and continue to be resolved with the use of Cvent registration management. 1- Customization of online attendee registration to meet our annual event needs and 2- the ability to seamlessly integrate our preferred merchant account to conduct fee attendee payment. "Flexible enough for "out of the box" users"
Cvent is very flexible for "out of the box" thinkers. Enhancements are based on the number of requests verses the usability across the platform. There are enhancements that would make logical sense based on the system that have yet to be implemented. Furthermore, the reports are not consistent across the various modules of the system. Cvent is a highly customizable and flexible management system that can integrate across each of its multiple platforms. Highly structured automation across registration processes for clients by encouraging 80% adoption of the online system. Most clients realize a 97% adoption of the online system. We have standardized the registration processes using templates to ensure ease of setup. Additionally, we have automated as many emails as possible from Abandoned registration emails to notify the registrant of an incomplete registration, to setting up emails to confirm name tags, encouraging participants to preregister for additional sessions / CEUs, to any customized communication that a Client would like us to send. We have also created a work flow from Cvent to our assigned agents to the air travel components to gather the necessary information for completing of the air reservation. "A great CRM for any company"
CVENT allows you to manage many services to make sure your attendees information stays accurate. This system is great for making sure all our clients information is ready at our fingertips while making sure updates stay current and cascade down from program to program. Websites are simple and payments as well. The log out period for the program can be a little annoying since it likes to consider "inactivity" based on when the program refreshes it page. However, sometimes you are working on a section and need to reference a document longer than the required time and this log out can be a bit of a time waster. Schedule a trial demo with the team. they are very good at answering your questions as they back their product and feel good about what they have. My company is very vested in this program since we are able to push the envelope on customizing experiences for our users. We also are product experts and have been known to help our clients who would like to use CVENT for their own infrastructure. Thank you for taking the time to share your experience using Cvent! I'm sorry to hear that the log out period of the program has caused some inconvenience for you. We appreciate your candid feedback and have shared it with our product team. "Great Software, Not Intuitive for Every Aspect"
It is very simple to set-up and event and get it started. Once you have a good grasp of how to use the software, most items are very intuitive and easy to use. Their help team is typically very helpful as well. Some aspects are still hard to work through such as seating and some travel aspects. It is simple, but just takes time and is not always the easiest to work through. It has been easy to streamline the registration process and that has helped with our client needs. But they still have some bugs to work out in terms of just overall use. It has been beneficial to have something that that our team can get trained in and become an expert in using. "Incredible software, support and service"
Wow - what a hard choice. From the customer service to the functionality of CVent, we were blown away by all you can do. There was never a "no" answer for our event needs, the team was always able to find a solution. Quite difficult to learn without the support team. I would have no idea what to do or where to begin without them and I feel for those who did not purchase the package that includes this. It can be expensive, but if you are looking for a professional project from start to finish, this is totally worth the money. No ads on our registration, professional feel, and incredible yield. We had an 82% open rate for our emails - which is unheard of! "Robust and easy-to-use event management software"
Cvent offers so many options and ways to customize each event to to ensure all needs are met. From the templates, to the registration process, Cvent allows you to display and capture just about any information you will need. Even if the information is highly customized, the reporting features are very easy to use, so any customized information is still easily pulled into a report. I like the interface the best - edits and additions are easy to make. And even if you don't know exactly where to do, it's very user friendly, and you typically can find it yourself without having to use Help & Support. Sometimes it's almost TOO robust. Many of the events I create are very simple. They don't need all the bells and whistles. So navigation and "turning off' the many features that Cvent provides can be cumbersome at times. I don't like how you can't see the changes you make real-time. You have to save and close and then refresh your preview. However, I believe this is changing with their new release, where all changes can be seen real-time, which is great! We're finally able to collect accurate data for all of our events. The software we previously used did not offer any type of tracking or data collection. With the use of Cvent, we have a much more accurate collection of data, especially with the use of OnArrival. We're able to see history, report on trends, and capture valuable member data that we couldn't do previously. Searching for our Event Venues is such an easy and user friendly experience. I can see locations, venue details, sizes, dimensions, etc. etc. Cvent has all of the information for you in such a way that you can just look and see exactly what you need! I do wish that their was a better notification system. I like receiving the emails, but if there was a way to have a pop-up on my desk top or a notice on my phone when a hotel responded that would be great! I was new to event planning a few years ago, and now I am confident that Cvent is my best resource for sourcing venues. Everything Cvent has to offer is great. * We monitor all Cvent reviews to prevent fraudulent reviews and keep review quality high. We do not post reviews by company employees or direct competitors. Validated reviews require the user to submit a screenshot of the product containing their user ID, in order to verify a user is an actual user of the product.